From comic titans, Peter David and Greg Land, comes the third installment of an all-new Spider-Man tale set during the original ALIEN COSTUME SAGA! After glimpsing the strange abilities of Spider-Man's bizarre black suit, Mysterio is determined to uncover the secrets of the enigmatic ensemble - secrets Peter Parker hasn't even realized! 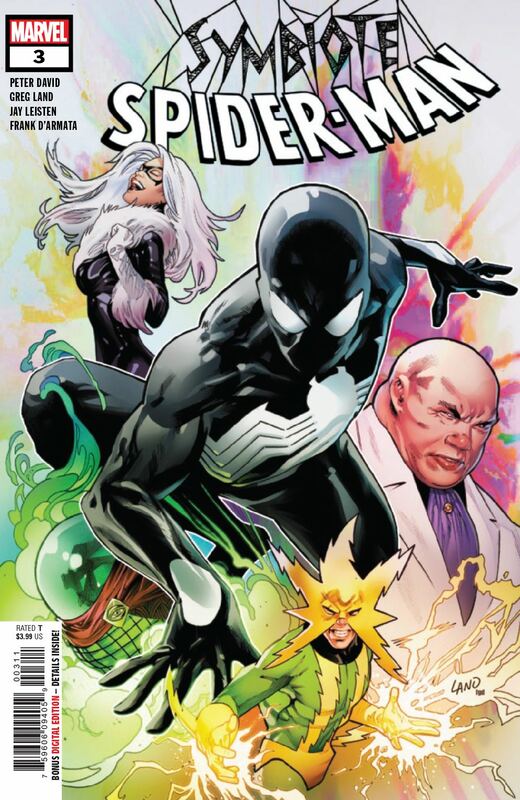 Uncovering a shameful secret from Black Cat's past, Mysterio may have found the blackmail necessary to get close to the suit, and in doing so will set Felicia down a path where any misstep could result in her losing Peter forever!